Aam ka khatta meetha achar is an instant achar. You don't have to wait for days for it to be ready. Since this is mango season, why not make the most of it. 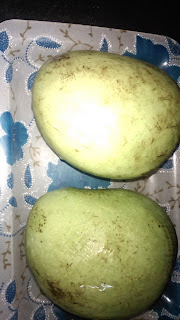 Earlier I blogged about aam panna which is also made from raw mangoes. This sweet sour achar tastes absolutely delicious. 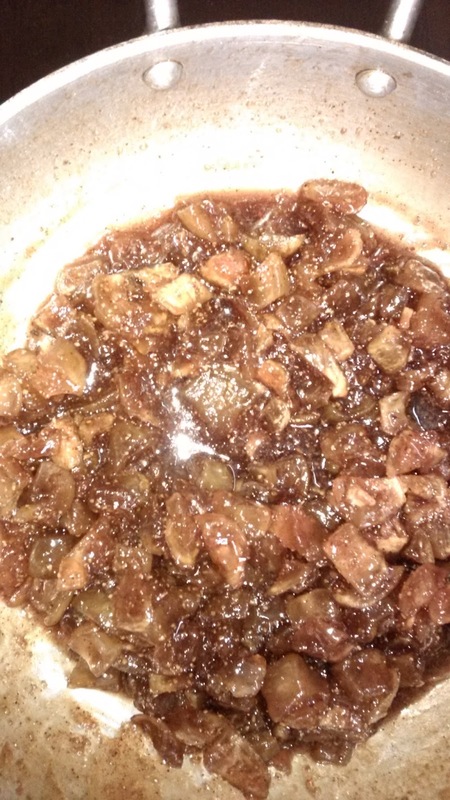 The basic recipe of this achar was shared by my mausi (aunt), Mrs. Lata Mittal, in which I filled in the details. 1. Wash kairi thoroughly. Wipe with a clean cloth. Leave to dry completely. 2. 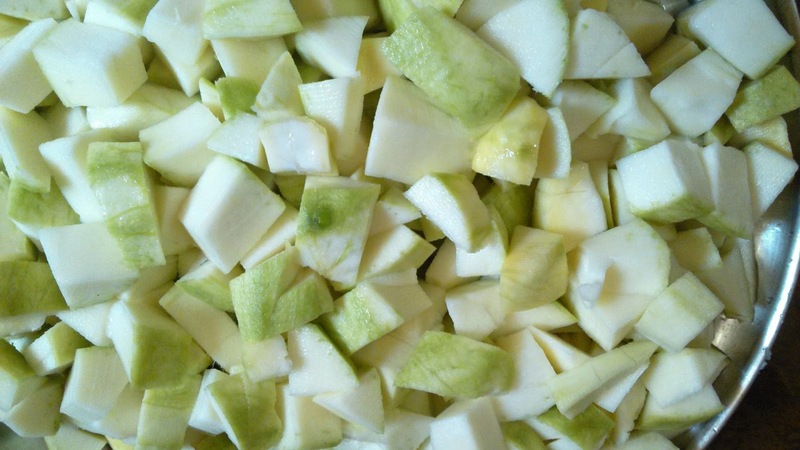 With dry hands and dry potato peeler, peel all the raw mangoes. 3. Cut into small pieces and discard the seeds. 4. Mix 2 tsp salt into kairi pieces and set aside for 1 1/2 hrs, covered. You will find they have released water. 5. Put a kadhai on heat and add raw mango pieces along with the water they have released and sugar (Remember not to add any additional water). Turn the heat to medium-low. 6. Let it cook for a while stirring in between. When raw mango and sugar have released sufficient water, turn the heat to medium. 7. Let it cook till chashni (syrup) reaches 2 thread consistency. To test this, drop a few drops of chashni in a cup of water. If it settles down your chashni is ready. 8. Add red chilli, garam masala and saunf powders and mix. Let it cook on a low heat for 3-4 minutes. 9. Turn off the heat and let the achar cool down. 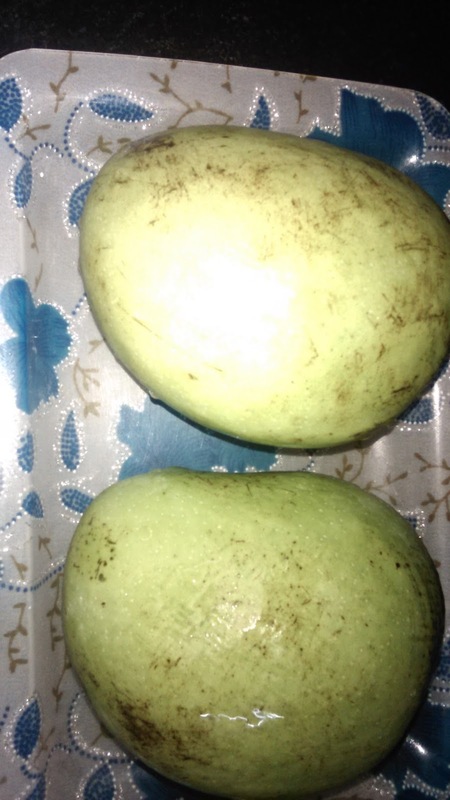 Your aam ka khatta meetha achar is ready. Fill it in glass or plastic jar or bottle. Note: 1. Your jar or bottle in which you fill the achar should be clean and completely dry and free of impurities. 2. There is no need to refrigerate this achar. It stays fresh for long.